Summers are here, and this means, it is time for those open flip-flops, sandals, shoes and heels to be worn. Your feet shouldn’t be clubbed in shoes all day long, lest they turn into smelly dungeons due to sweat and dirt accumulation, chasing everyone out of the room. What you need to get done for the feet is a pedicure; pamper your feet right and it would take you a long way. Did you know – your feet when kept in prime health and clean, speaks a lot about your hygiene values too? This is why, at least once in a month you should get a pedicure done. Get it done at home if you feel too lazy to go to the parlor. Or simply if you are lazy, here are hacks that you could use for a pedicure at home! Simple and very effective! Don’t we love the touch of French pedicures? Our B-Town divas flaunt them as and when they can, wearing open heeled shoes. French pedicures, just like French manicures are a rage in this day and age, and we would encourage you to try the same without spending a bomb. Do it at home with a rubber band and save time. 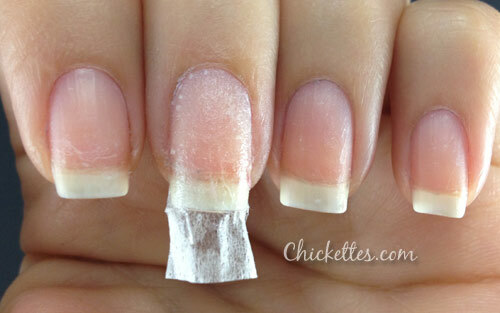 Once you file and nail your toe nails, apply a layer of base coat and wait till it dries. Apply a second layer and then let this layer dry out too. Place a rubber band on the edge of the nails- the outer section of the nails, and within that area apply a coat of matte white nail polish. Remove when dry and apply top clear coat to set. You now have French pedicured feet in flat five minutes. Ouch! It does hurt when one of our toe nails are broken, and especially when the nagging nail bit doesn’t want to leave. We don’t want to snip it out in fear of bruising our cuticles and the toes, and we don’t want it to be that way forever too. What do we do? Grab a teabag which hasn’t been used, and snip a little paper from the bag. Place this paper you just cut over the nail part which is broken. Now add a layer of polish on top of this paper and the whole nail. You now have a perfect set of toenails to flaunt, with the pedicure done and sans the look of something broken! If you don’t fancy using costly foot exfoliation products, you could head to the washroom and use your daily mouthwash formula to help remove dead skin cells from the feet. What you need is to ditch the pumice stone for now, which can be harsh on the feet. Try a quart cup of Listerine mouthwash which is easily available at the pharmacy to clean the feet off dead skin cells. Add to this a quart cup of white vinegar and a cup of warm water. Mix them well while the water is warm, and soak your feet in this solution for ten minutes. This makes it easier for the dead skin cells to be gone, when you start scrubbing. Beer isn’t only good for your hair, but for your pedicure needs too. Beer can help soak into the skin and remove dead skin cells, leaving behind a healthy pair of feet sans the dirt, grime and skin cells unwanted. What you need to do is to pour a liter of beer into a bucket, and soak your feet in it for ten minutes. Remove your feet and gently use a loofah to scrub the pair. You would see how all the dirt and grime and dead skin cells are removed. If you are not too keen on getting a pedicure done every fortnight or every month, and if you are totally, truly, madly and deeply in love with the nail paint you have- preserving it with white vinegar is a hack that you should learn. Before you apply the basecoat, you need to ensure that the nails are filed and buffed well, and all the moisture from the nails are removed. After this, add to a cotton ball some white vinegar and wipe your toe nails with it. Now apply the base coat and continue with your nail art. 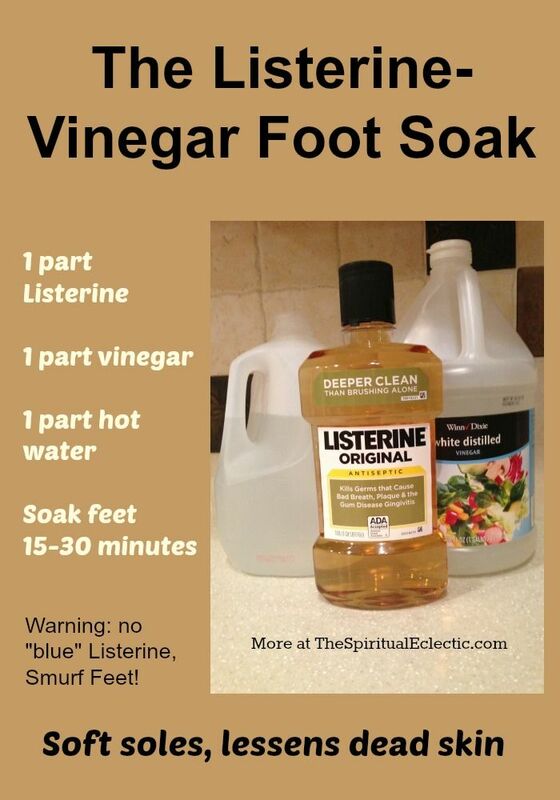 The smell of vinegar would leave once the pedicure is done, and the color would be long lasting too. 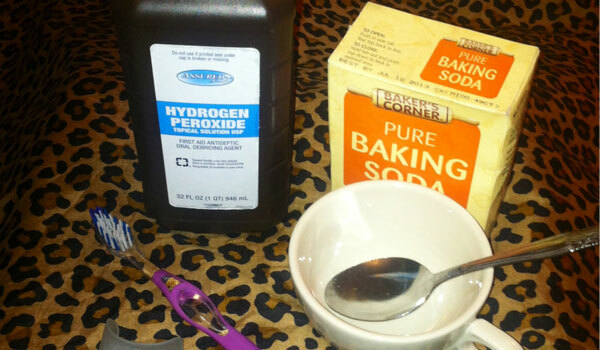 A tablespoon each of lime juice concentrate, baking soda and hydrogen peroxide should be mixed. Use this mixture and rub your toe nails with them well; the acidic and bleaching effects, and the exfoliation effects of the mixture would remove all the dirt, grime and YELLOW STAINS instantly from your nails in a jiffy. Let your nails dry and then apply base coat- proceed ahead with the desired French pedicure you are in love with. Flaunt those gorgeous toenails with these pedicure hacks and tips; there’s no more stopping you from putting your best foot forward!